Since a new vehicle depreciates in value the minute you drive off the lot, buying used can often be the smartest option for putting money back in your pocket. Whether you are a seasoned pro at buying used or are a newbie to the process, fear not — there are plenty of beautiful used vehicles ripe for the picking right in your neck of the woods. We’ve provided helpful tips below to make buying used as pleasant as possible. Shopping online for a used vehicle is a great option. There are many reputable sites that you can peruse right from your smartphone or tablet to locate the used vehicle of your dreams while cutting hours and hours off the shopping process. Most dealers and many consumers use some of these reputable sites to showcase their used vehicles, and we recommend that you check them out as well. 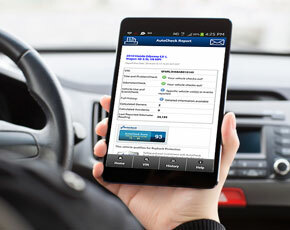 Whether you have narrowed your search to several vehicles or are just beginning the used car shopping process, you can use AutoCheck® vehicle history reports to make sure the vehicle's history meets your expectations. significant damage has been detected. AutoCheck also has a very unique feature — its patented AutoCheck Score™ — which allows you to help assess a vehicle’s predicted reliability and compare it to similar cars in its class. Learn more about the AutoCheck Score and how it can help you select a vehicle that is right for you. Waiting for the rain to stop before you trek out to the dealership or seller’s home. A wet car can hide a lot of paint and body issues. Taking the car on local streets and a highway to get a feel for different speeds. Testing all the switches and knobs. Checking the radio buttons to make sure they are tuned to local stations; if they aren’t, it could be a sign that the car has come from a different area. A look at the GPS programming can also provide clues. Looking to make sure the car has all the accessories and options that were advertised. Little things such as wheel locks are easily lost and can be costly to replace when needed. If you are close to making a purchase, don’t miss the critical step of taking the vehicle to your local mechanic to check it for hidden mechanical issues. AutoCheck vehicle history reports can show you reported issues, but it does not account for any issues that haven’t been reported to private and government sources. A good mechanic can detect deferred maintenance as well as current issues such as a burned-out check-engine or antilock braking system light that could be part of a bigger problem. These problems could lead to hidden costs and may even diminish the value of the vehicle. Make sure to have any used vehicle you're considering to buy inspected. 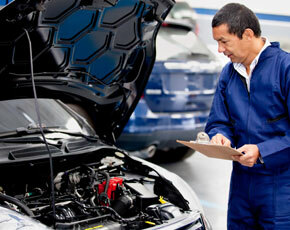 Even if you are buying from a dealership, always have a nonaffiliated mechanic look over the car. With all of the excitement of searching for and locating the perfect vehicle, it is easy to get swept up in the moment, especially if you think you have found the right one. However, it is important to keep your feet on the ground when paying for the vehicle and getting it insured. If you are one of the millions of consumers who are not paying cash for your vehicle outright, you will need to look into financing. It is important first to make sure you have a contract that spells out exactly the price being paid for the vehicle. The contract should include any dealership fees or state fees. Make sure the VIN is included and correct on the document and that it states the vehicle is being sold “as-is” if from a private seller. Banks, credit unions and dealerships all offer car loans. You should never focus solely on the monthly payment; it is important to consider the total price of the car and the terms of the loan. You should multiply the monthly payment amount by the term of the loan to find out the true cost of the vehicle transaction. Once you decide to enter the market for a used vehicle, make sure you check your credit score to see what type of financing for which you qualify. The better your credit score, the more competitive the interest rate you can receive. You can check your local banks and credit unions for finance rates; you also can shop financial institutions online and get preapproval for a specific loan amount. Often, you may find the best finance rate at the dealership, since they have relationships with many lenders that they work with every day. Regardless of where you secure your loan, you should make sure to do the math and figure out how much you will pay for the vehicle over time. You should be clear on whether you are comfortable with the amount. You should remember to factor insurance into the cost of owning your vehicle by calling ahead before you make a purchase. The easiest way to do this is to call the company you are currently using and find out the rate. Often, you will be trading in or selling your old vehicle and will need to remove it from your policy anyway. If you don’t want to keep your current insurance provider, it is a painless process to visit sites online to compare quotes. You should make sure that you cancel your old policy (there should not be a fee for this) and that the new policy has all of the features that you need.